I am grateful for my experience in this class. Clyde Terry and his team are a blessing to all who have the once in a lifetime opportunity to take this class. Truly life changing. My focus has changed, before I was frustrated and unsure of a direction. Newly married (12-12-12) to my beautiful bride, I also received a 17 year old step-son with the deal! He was also frustrated and angry, unsure of his direction. Three months ago I was shocked and suprised to find out he was in police custody, having been arrested for selling drugs at school. They search our home with K-9 unit and he was expelled from school for one year. My wife was extremely upset and so was I! Our Church Agape International Spiritual Center in Culver City had a program that they were sponsoring called Emerging Leaders Academy run by Clyde Terry and is sponsored by the Los Angeles County Sheriff’s Department. 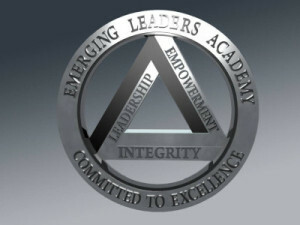 The Emerging Leaders Academy is a much needed tool in the community. ELA provides opportunities for individuals who would be otherwise written off by society. ELA teaches them the tools to be effective and active members of society. It is absolutely heartwarming to see the many people who have transformed their lives with the assistance of Clyde Terry and his staff. Clyde is an absolute angel. He provides hope for the hopeless. It sounds corny, but its very true. I will forever be in debt to ELA. That class was a life changing experience that I would not trade for the World.